Once again, the board invites our members to an exclusive members’ luncheon, where invited CEOs, principals, partners, managers and chairpersons will get updated on the City of Knowledges ambitious 2020-2025 strategy as well as keynotes on this year’s theme “Business development and economic growth in the Capital Region” by guest speaker Claus Juhl. The lunch is thus a great opportunity to receive a unique insight and meet both the board members and other executives from the City of Knowledge’s member companies and organizations. By invitation only. 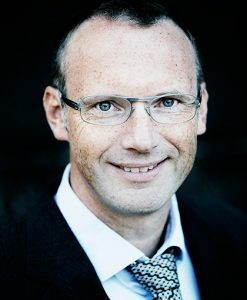 Claus Juhl is director at the consultancy firm “Forskel”, former CEO at the City of Copenhagen and founder of the consultancy firm Struensee & Co. In June 2017, Claus Juhl was selected as chairman for the committee focusing on reforming the Danish business promotion system, working together with the Ministry of Industri, Business and Financial Affairs. The presentations will be in Danish.